Standing in the path of progress and shouting "Stop!" “. . . The big winners in the budget “deal” were the people who understood the least: the tea party folk, a minority, generally ignorant, who had a simple plan, easy to execute. They just did nothing but wave the pledges they had signed never to raise taxes, particularly on rich people. “Their nominal party, the Republicans, could not bring them into the party—or the government, for that matter. Without knowing it, they were fulfilling the dream of William F. Buckley, that is, standing in the path of progress and shouting “Stop!” Of course, they would not understand Buckley, and I doubt he would have been seen in public with them. “. . . The conventional wisdom is that neither side got what it wanted. Maybe, but perhaps instead of wacko right-wingers, real winners are the stealthy interests that provide organizational resources and finances to dupes who populate the tax protests. Writing in Salon, David Sirota proposes that President Obama is purposely accommodating the forces of “organized money” and never intended to be the champion that progressives had expected when they helped elect the 44th Head of State. Indeed, the President seems more comfortable with the company of incredibly wealthy businessmen – the principal beneficiaries of tax and social spending cuts. Ironically, these are the folks behind the ideological machine that is determined to eviscerate the government over which Obama presides. We see organized money trying to stir anti-tax sentiment in Canada. Mainstream media, billionaire funded think tanks and business organizations work that strategy regularly. Global TV’s Liberal columnist Keith Baldrey wrote of BC’s “brewing tax revolt” in one of his recent community newspaper columns. He blamed this partly on “incredibly generous collective agreements” in the public sector. Yeah, like the 0% general wage increase for nurses in both 2010 and 2011, or the 2% for teachers in 2010 or 3% for paramedics. Even the 5 year agreement CUPE signed with Vancouver City provided general wage increases averaging 3.5%. Hardly changes that are incredibly generous. Baldrey is confused, perhaps thinking the massive pay raises given senior BC Liberal bureaucrats in the last few years were similarly offered to ordinary public servants. Or, maybe he’s watched his own multi-sourced income growing at an incredibly generous rate these past few years. Faithful Baldrey reports that HST opposition is evidence of tax resistance but a better explanation is that citizens object to a multi-billion tax transfer to corporations mostly headquartered outside the province. 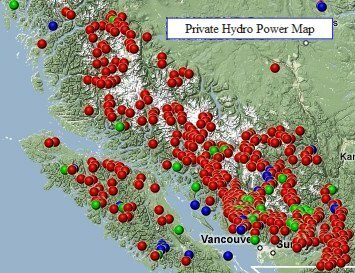 The revolt that may be brewing among BC taxpayers is against wasteful spending (see BC Ferries and the David Hahn gang), bankrupting of BC Hydro and no-return gifting of valued public assets such as the waterways accommodating independent power producers. We may object to spending billions of public funds for convention facilities and a white elephant stadium for the benefit of rather few favoured citizens or the destruction of coastal waterways so that a Norwegian salmon-farming oilman is further enriched. No, efforts in Canada to promote unregulated corporate capitalism while degrading social democratic programs have met with mixed success. Citizens here are not as foolish as our southern neighbours when it come to separating political fiction from political reality. Wrong!!! There were huge wage increases. Campbell gave himself a, $60.000 per year salary hike. That was over double his existing salary. He gave his ministers a, 27% wage increase. Does anyone even know, the amount of money Campbell was given, in kickbacks? There was his theft and corrupt sale of the BCR. There was priceless real estate, that went with the BCR. There were the theft and sale of our rivers, Big business gave Campbell money, to keep the HST. However, Campbell works for Harper, Campbell is very well rewarded, for doing Harper's dirty work for him. Harper doesn't give a damn about, our salmon, health care, education, nor the Canadian people. Harper sees himself as, an energy giant. He wants to bask in his power and glory. Even if he pollutes the entire planet, to achieve his foul agenda. Harper is frantically, trying to coerce Europe, to buy the dirty tar sands oil. That's the one and only endeavor, that Harper is focused on. That is I mean, besides his wars and, constructing his war machine weapons. Harper does nothing for the citizens. Harper is focusing on Harper. Campbell is no different. Campbell was in it, for Campbell. The two partners in crime, really connected, their ideals are exactly the same. Money, power and glory. The same ideals as, the mafia. Campbell had to control absolutely everything. He controlled by threat,hate,spite and malice. Anyone opposing Campbell, lost their jobs. Our courts are corrupt, the police are corrupt, Elections BC is corrupt. I can't name anything that isn't corrupt in BC, because of Campbell and the BC Liberals. Christy is carrying on with, Campbell's lying, deceiving, thieving, corrupt and cheating legacy. Falcon, in true Campbell style, is threatening dire consequences for the BC people, if the HST is defeated. This is while the BC Liberals are secretly awarding firms, with Liberal ties, the money for, the pro HST campaign. A dictatorship government only knows how, to govern with threats. That's the only way they can win. Who can deny Harper's paranoia. He sent his minions to Guelph University, to stop the students from voting. They even tried to steal the ballot boxes. Harper does not allow scientists, to publish their results. They have to go through Harper first. Scientists find their results, severely tampered with and altered. Canadians have forgotten, what good government is. Politicians are not about, what is good for the country and the people. They are only interested in, money, power and glory and to hell with their citizens. A newspaper in Australia printed, how badly democracy in Canada has eroded. Canada was a country welcomed, in every nation in the world. Harper has destroyed Canada's good standing, by his dictatorship and arrogance. Harper is also known as a petty gasbag, and too stubborn to work with. Europe has no use for Harper and his underhanded scam, in regard to the dirty tar sands. This is an utter disgrace and embarrassment for Canadian people. This is especially true in BC. The BC liberals, don't work with the people, they work against them. Campbell and Christy's BC Liberals, hold the record of, the most corrupt province in BC. They also have the record, for the worst, corrupt, politicians in this country. The only party against the killing of our salmon, is the Green Party. They are the only party, that does care about the terrible pollution, Canada is adding to our planet, because of the dirty tar sands. I have heard nothing about, the terrible pollution plans Harper and Campbell have for BC, from the opposition.